Arab who assaulted man wearing a kippah in Berlin convicted but allowed to go free for time already served. A German court convicted a Palestinian Arab man from Syria Monday on assault charges forattacking an Israeli man wearing a kippah. Knaan al-Sebai, 19, was sentenced to four weeks' juvenile detention but allowed to walk free, having already served over two months in pre-trail detention. "I made a mistake and I have learnt from it," he told the Berlin court, after a trial in which he had denied the April 17 attack was motivated by anti-Semitism. The footage shows the attacker, one of a group of three, shouting "yahudi" -- Jew in Arabic -- before striking the victim, leaving him injured. The victim, a 21-year-old student, later revealed that he is not Jewish but an Israeli Arab called Adam, who was walking at the time with a German-Moroccan friend aged 24. Adam, a veterinary student, has said they had wanted to test whether wearing a kippa was safe in the fashionable inner Berlin district of Prenzlauer Berg. 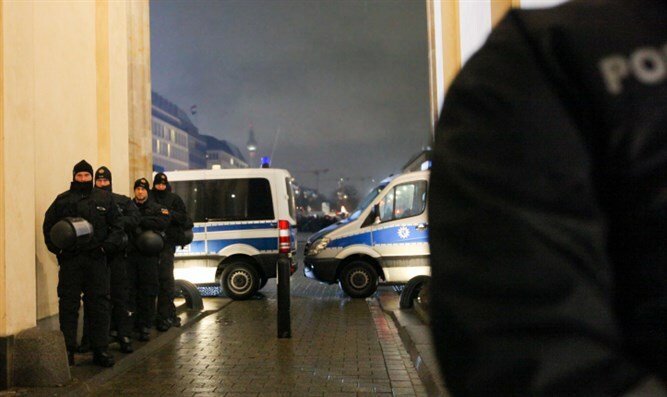 The attack was the latest to raise alarm bells about renewed anti-Semitism in Germany from both the far-right and a large influx of predominantly Muslim asylum seekers since 2015. Days after the assault, some 2,000 people rallied at a "Berlin Wears Kippah" solidarity demonstration, matched by smaller events in several other German cities. Chancellor Angela Merkel denounced the emergence of "another form of anti-Semitism" beyond that of right-wing extremist groups, from Muslim refugees. She reaffirmed that the security of Jews and the state of Israel was a central concern for Germany, given its "eternal responsibility" for the Holocaust in which the Nazis murdered six million European Jews.